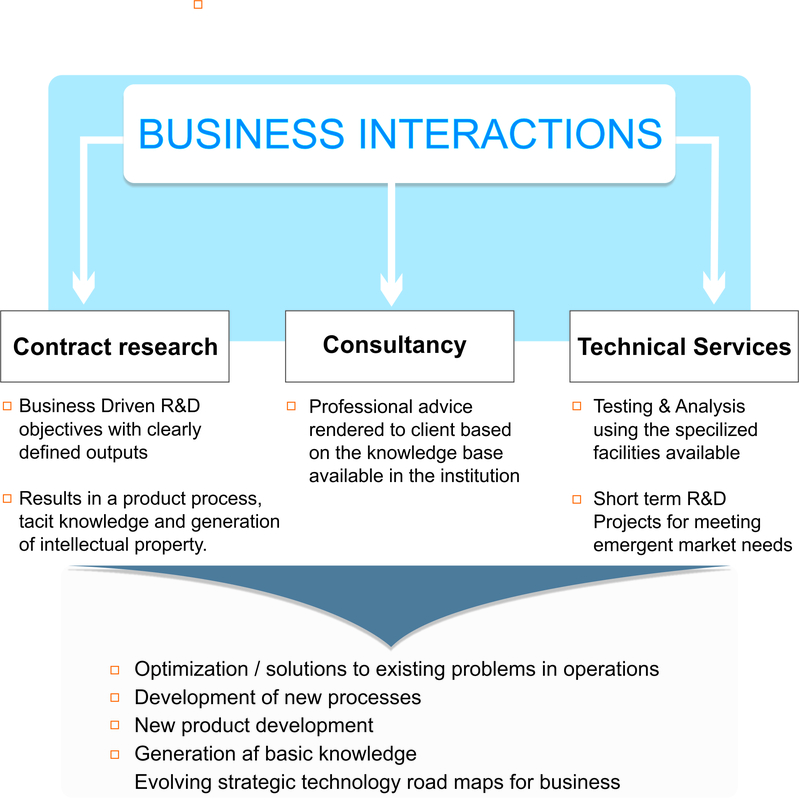 Contract Research, Consultancy and Technical Services form the greater part of NCL's business interactions with external industries as depicted below. NCL offers customised training programmes in several areas of its competence to customers. These training programmes are designed in consultation with the customers and are offered either at customer's site or at NCL. Some of the training programs provide hands on experience with research tools. For some examples of recent training programmes please click here.